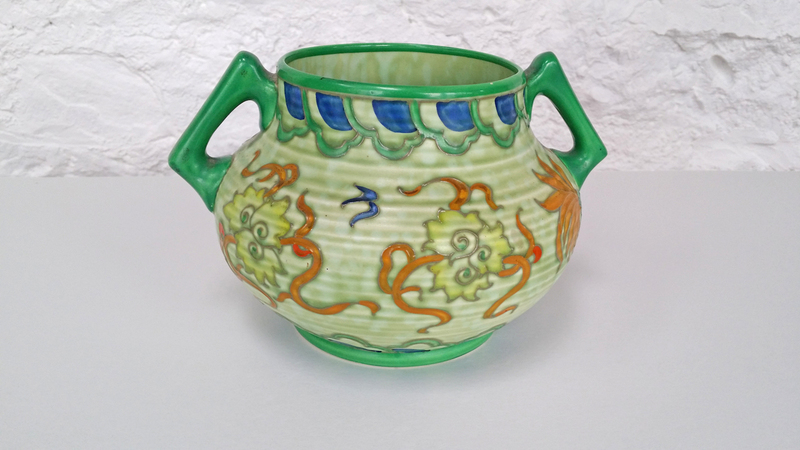 A rare Charlotte Rhead ‘Manchu’ vase. 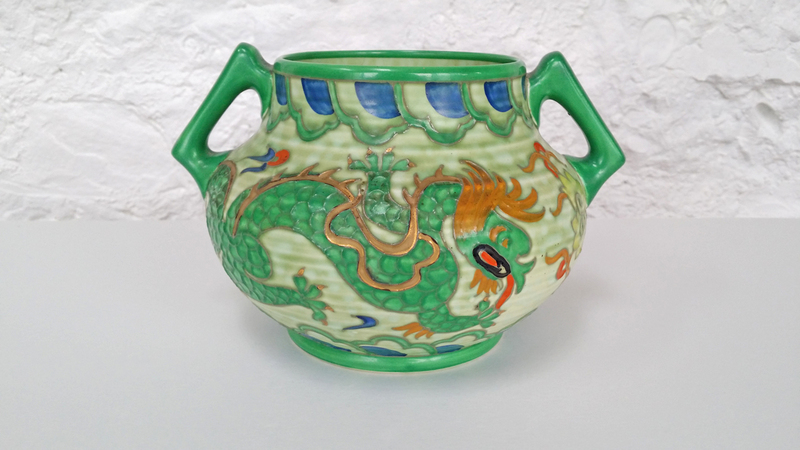 A chinese dragon in green finished in golden copper, yellow, red and black; surrounded by cloud scrolls on a mottled green glaze. Shows beautifully the skill of the tube-liners and paintresses. A colourful design. 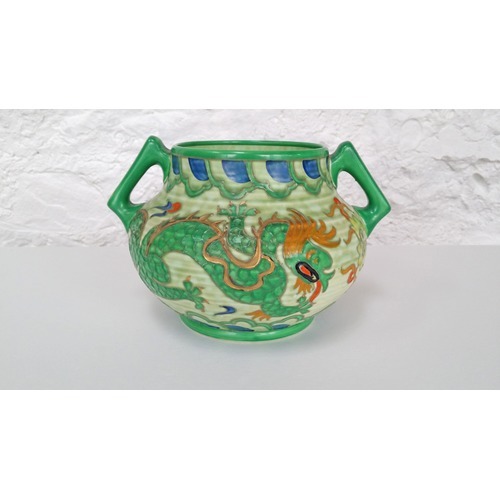 In excellent condition; no chips, cracks or restoration. 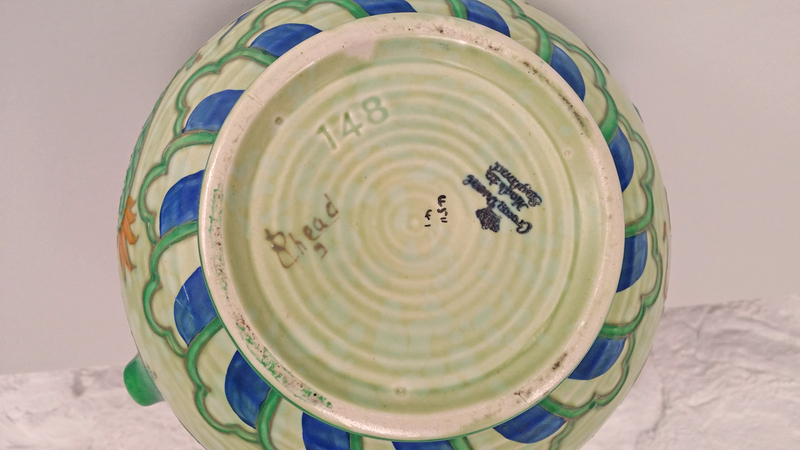 Signed ‘C Rhead’ with decorator’s mark and printed Crown Ducal mark.